Also known as the “Trip to the salt flats”. Salinas tour combines two excursions into one large trip under the name of Puna and salinas tour. First, a trip to San Antonio de los Cobres following the “Quebrada del Toro”, where the train of clouds runs. 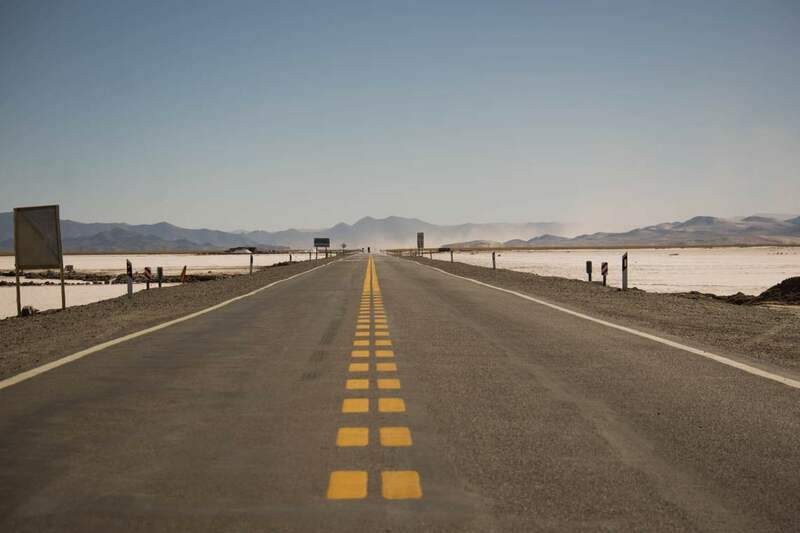 Then, crossing the high altitude desert known as “puna”, the group will finally arrive the Salt Flats. 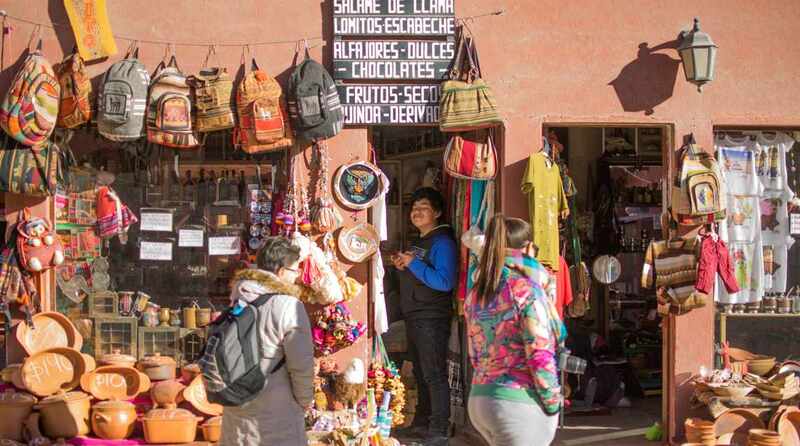 Later, a visit to of the first part of Quebrada de Humahuaca, visiting the little town Purmamarca and its “Mountain of seven Colours”. RETURN TIME 9 pm approx. The trip begins leaving the city of Salta towards Cerillos and La Merced. These countryside villages are considered the cradle of Salteño folk and handicraft. Later on we will pass Campo Quijano at 1520m above sea level onto the Quebrada del Toro. This canyon is a geographical collision situated between Campo Quijano and “Tastil”. The first change we notice leaving Quijano is that the vegetation becomes scarce and the land arid and mountainous. This is the sign that we are getting close to Quebrada del Toro. Atfer a short time on a dirt road, we reach the paved road to San Antonio de los Cobres. Passing through Santa Rosa de Tastil and the “Abra de Muñano”. 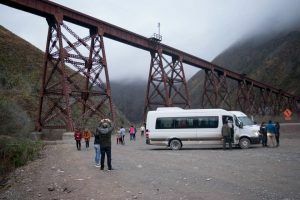 At the entrance of the canyon, we can enjoy the view of “El Toro” viaduct. Is where the Train to the Clouds passes. It was the North-American engineer, who designed and build the line C-14 and the impressive route on the high trails of Quebrada del Toro. Nowadays, the Train is the biggest touristic attractions of Salta Province and North of Argentina. We cross the canyon via the narrow Route 51, with on our left side the Toro river and on our right side, the imposing mountains. Moving on, we see many plants typical for this mountainous region: Cardon. 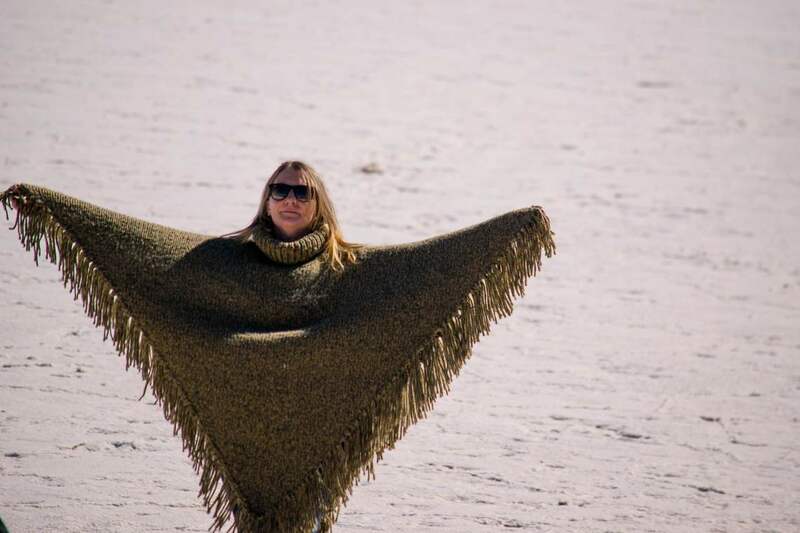 Actually in the region of Salta and Jujuy, it is a protected kind. That is, by law it is forbidden to cut these plants. This has everything to do with the difficulty and the time it takes this type of cactus to grow. It grows approximately 1 cm per year only. 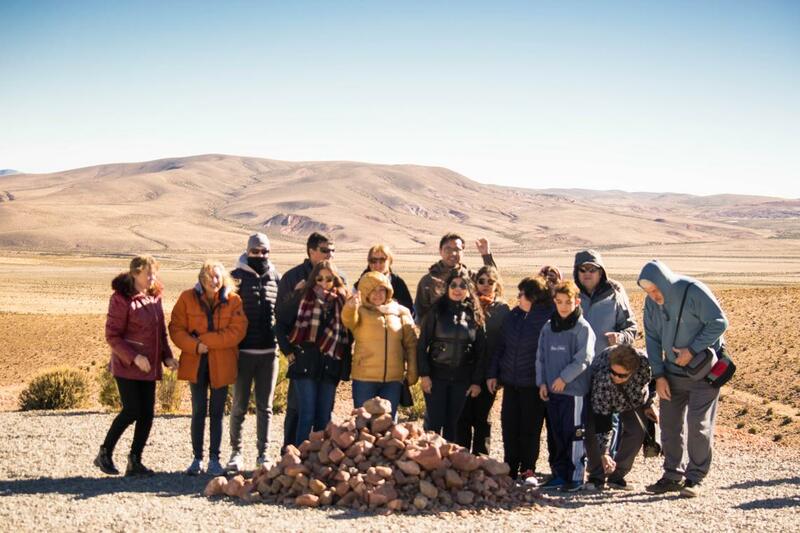 Without a doubt, the Cardon is a symbol of Salta and Jujuy region. 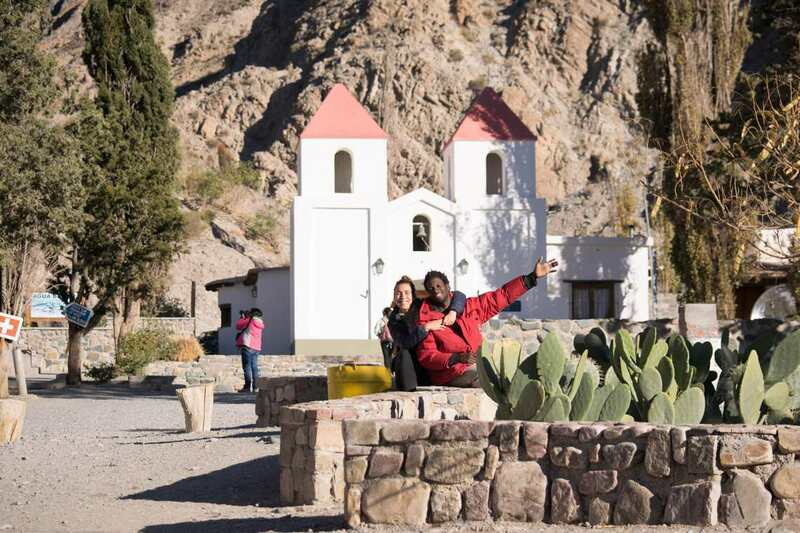 You may as well see this cactus while passing through the National Park Los Cardones, as part of tour to Cachi. Halfway through the morning and after having enjoyed the impressive formations of the canyon, we reach Santa Rosa de Tastil. Located at 3110m above sea level. This is where we have a short break, and where you may visit some crafts shops and museums. Tastil means sonorous rock. Taking a break, you will notice how strong the sun is at this altitude, in contrast with the cold dry wind. The Museum of Tastil, and is housed in a building more than 200yrs old, originally a horse stable. In here, the museum displays fabrics, pottery, masks, and other aspects of local culture. You will also find a mummy of more than 700 years old. After the visit to this small village of Tastil, we continue our journey towards San Antonio de los Cobres on the Route 51. An interesting part is without a doubt the Abra de Muñano, 3953m high, where you can enjoy the tranquillity and the scenery of this region. While going up this hill, the cardones are disappearing according with the altitude. From a panoramic viewpoint we overlook the entire village. Often, here we meet shepherds with their animals and it is possible to take souvenir picture. This village owes its name to presence of big reserves of cupper in the surroundings. 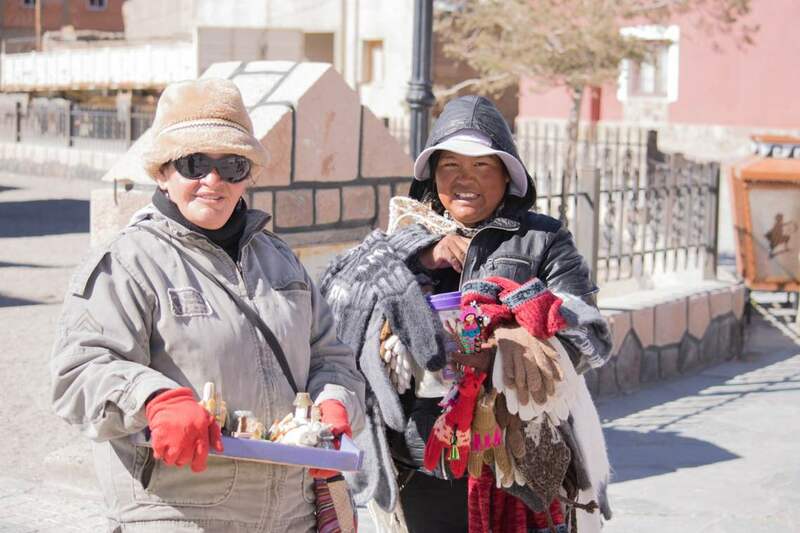 Venta de artesanías en San Antonio de los Cobres, Salta. Houses, being built in adobe, maintain fresh during the day, while in the night giving off the warmth, absorbed during the day. Windows measure approximately 50x50cm, designed in this intelligent way to keep out the strong winds, especially during the cold nights.Arrival to San Antonio village is foreseen at 1pm, the time where will have lunch. Generally the group has lunch together in a place recommended by the guide. Nevertheless, some tourists bring their own lunchbox and use this half hour lunch break to explore the village. 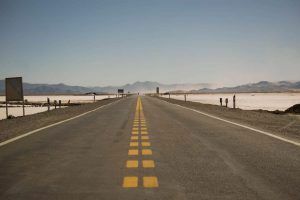 Once finished the visit to San Antonio de los Cobres, we resume our journey to Salt Flat on a dirt road in the middle of the desert. 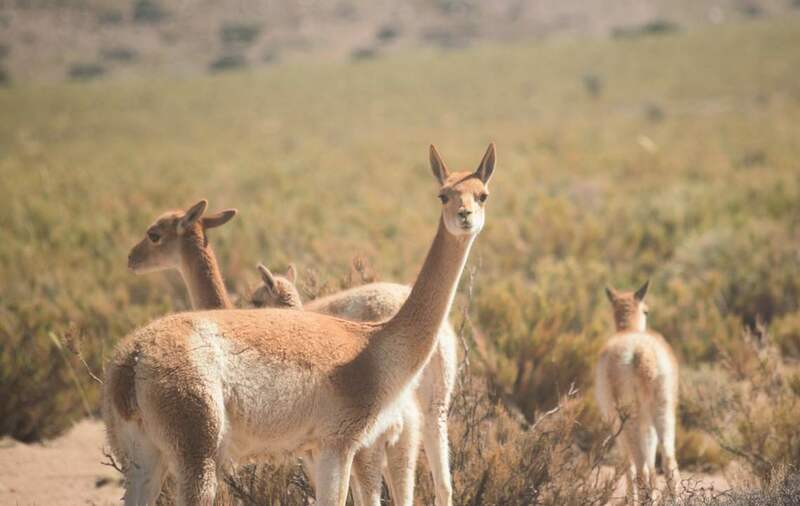 At this phase, we can observe the most typical animals of this region: the Vicuña.Vicuñas are the smallest camel types in the North of Argentina, weighing between 40 and 50kg. These animals are very common in this area, whilst no other species can support the meteorological conditions in the Andean highlands. We can see this animals freely wandering in the middle of this enormous highland plateau. 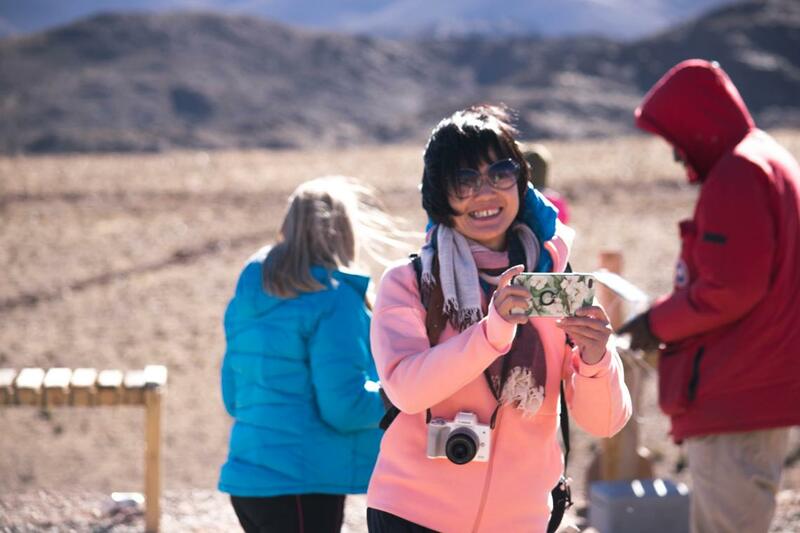 The characteristics of these animals is the ability to cope with the climate of extremes in this huge high altitude desert called the Puna: warm and sunny afternoons, as opposed to freezing temperatures at night. 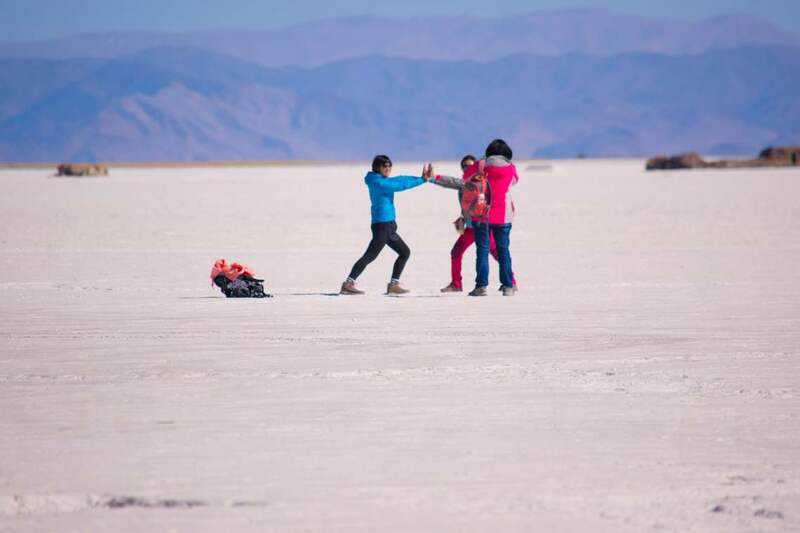 Somewhere around 4pm and 5pm we arrive the magical salt desert at 3450m above sea level. 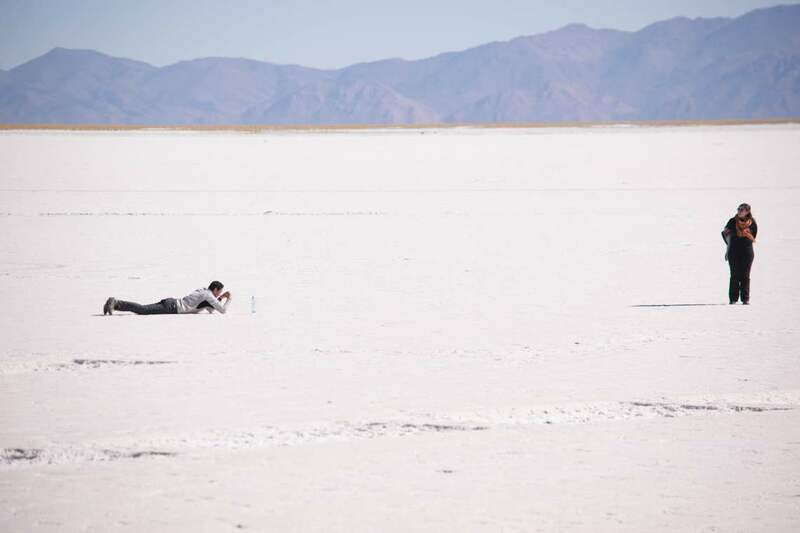 It´ss known as the Great Salt Flats. This desert has a surface of 212km2, makes it an ideal place to play with perspectives through the lens of your camera. 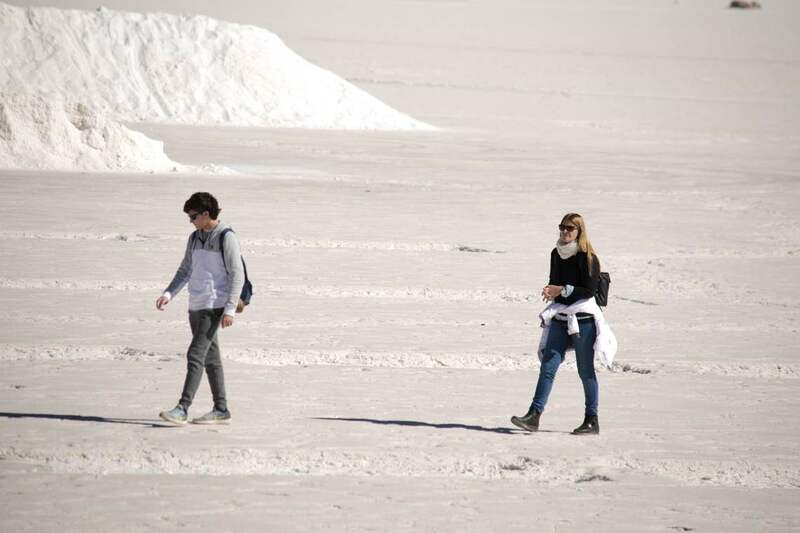 You will also find the “house of salt”, as well as different sculptures out of salt. Craftsmen can be seen making art out of big bricks of this mineral. 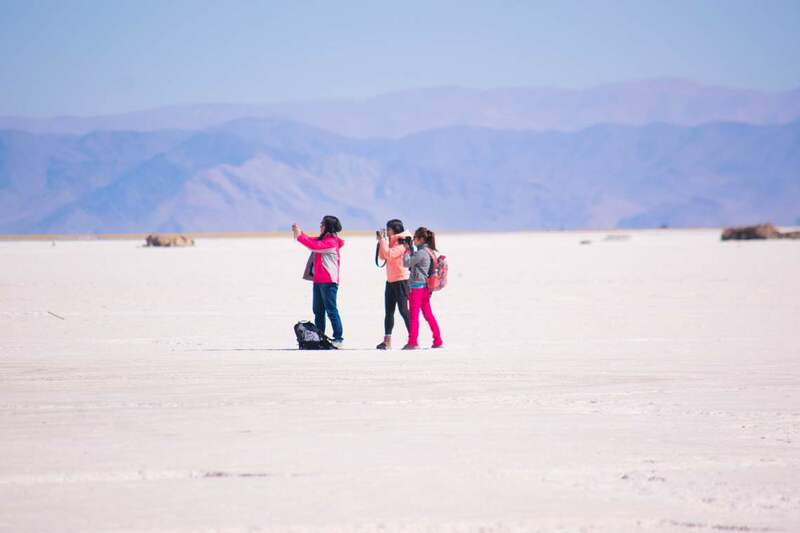 Leaving the salt flats, on our way to Purmamarca, we take the Route 52. The winding road leads us, almost like a snake, up the mountain to Lipan, which is located in the district of Tumbaya, Jujuy at 4170m above sea level. As we work our way up, the landscape is getting more and more spectacular and arid. Climbing the highest point of our trip, we admire the most impressive things at this altitude, the zigzagging trail in Route 52. Once arrived at this open space, we find craftsmen working with rocks and stones from the area. After coming down the 1000 bends of Hill of Lipan, we get at around 6pm to Purmamarca, located next to iconic “Cerro de los 7 Colores” (seven colors mountain). Purmamarca is one the most important pieces of paradise at the beginning of the Quebrada de Humahuaca. It is a place to fall in love with because of its natural beauty, its architecture of precious houses and its narrow streets. 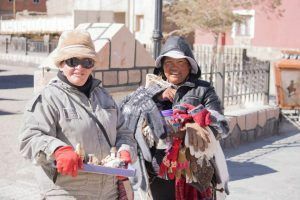 In this village we make our last break, which allows you to buy handicrafts around the main plaza. 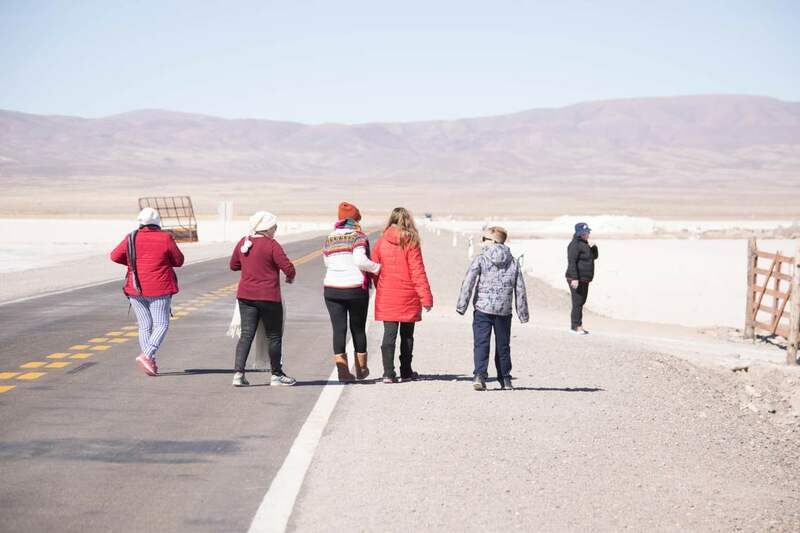 After visiting the village, we return to Salta by highway. 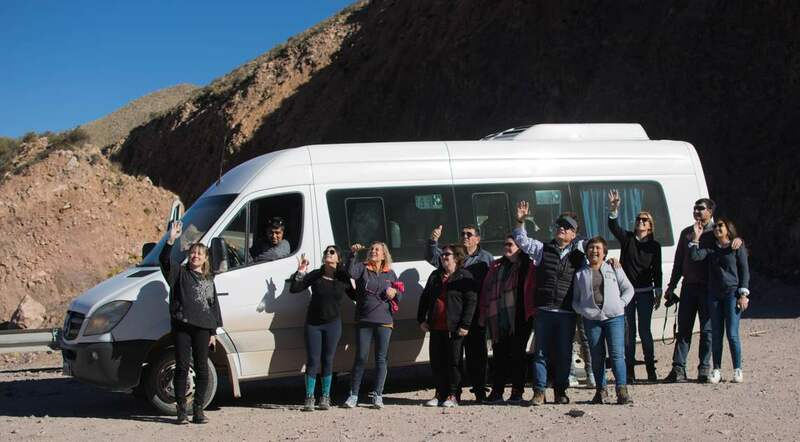 Staying the night in Purmamarca is an option if you choose the Pack4, so the next day we pick you up for an excursion to Humahuaca. It is also possible to do this same circuit, but with a differential service. In this case, we recommend reading the description of Movitrack, Safari to the Clouds.